Gambling happens to be one of the most favourite pastimes. Yet, not many do not know about some of the fascinating aspects of gambling. Gambling trivia is quite interesting considering the length and breadth of the industry. 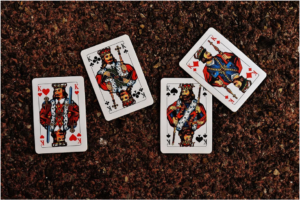 Everyone knows about the presence of four Kings in a 52-card deck. Did you know that these kings represent four highly famous kings in the history? The biblical King David is represented by the King of spades, while Alexander the Great is represented by the king of clubs. The king of diamonds is rumoured to be based on Julius Caesar, while king Charlemagne is used as a figurehead while coming up with the king of hearts. The modern card pack came about 500 years ago in France. The world of land-based and online casinos – especially the Unibet casino online – revolves around the slot machines, which are by far the most popular gaming options. Even though the odds of success are relatively low compared to blackjack or roulette, slot machines are incredibly popular since they are ideal for beginners. However, the slot machines have been around for a long time. Invented in 1899 by Charles Fey, these games continue to be the best option for casual visitors to a casino. 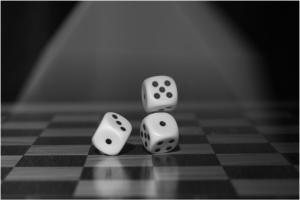 The small dice has a major role to play in the world of gambling. The six-sided dice is the most common, and it has a fascinating history. Archaeologists have found evidence of dice being used as early as 5,000 years ago. Back then, the dice were made from baked clay. Online casinos may be a common trend today, but they did not exist just over 30 years ago. The first online casino only came about in the 1990s. Even by 1996, there were only 15 sites that allowed gambling on the Internet. However, it had grown to 200 by the end of 1997. Now, the options for a player looking for online casinos are in the hundreds of thousands. Roulette happens to be one of the most popular games in the world of gambling. The history of the game goes back to the early 1720s. Horizontal gaming wheels were used in England, and it was not until 1796 that the modern Roulette started making its presence felt. France was one of the first nations to adopt to this modern version. The highest ever Jackpot paid by a progressive slot was $8.6 million. The Mega Moolah slot game from Microgaming provided this incredible victory at the Riverbelle Casino in 2009. The highest ever Jackpot paid out by a progressive slot machine at a land-based casino was $39 million in 2003. The Megabucks slot game from IGT provided this huge victory. The title was at Excalibur Hotel and Casino in Las Vegas. The World Series of Poker Main Event is regarded as one of the toughest challenges in the world of poker. Winning the event is quite prestigious and it takes a lot of experience to do so. However, Joe Cada was only 21 when he managed to win the event in 2009. In doing so, he became the youngest poker player to win the WSOP title. Cada still remains one of the toughest opponents on the table. The classic slot machines used to have a bar symbol which has made its way into slot games even now. This iconic symbol has always been associated with slot games. It was actually taken from the logo of a chewing gum company known as Bell Fruit. This symbol became synonymous because a slot game was designed in 1910. This machine dispensed a chewing gum from the Bell Fruit company. The top casinos could easily be some of the most secure locations in the world. They employ a range of security measures in order to prevent malpractices. Mirage in Las Vegas became the first casino to have security cameras at all tables in 1989. Now, however, it has been surpassed by a huge array of technologies, which can even analyse facial patterns with the help of advanced computers. Yet, the step taken by Mirage remains as a milestone. 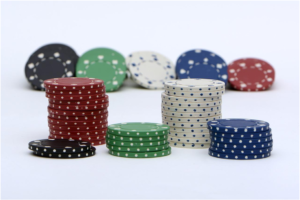 Even though the exact origin of poker is yet unknown, it first appeared in 1829. English actor Joseph Crowell came up with the came to his fellow actors. Poker grew in popularity amongst soldiers during the Civil War. It was the common ways of relaxation adopted by those soldiers.